Abu Dhabi: The National Programme for Small and Medium Enterprises (SMEs) that was endorsed by the UAE Cabinet on Sunday will give a boost to SMEs across the country, an analyst said, adding that success rate of such enterprises can be increased to 50 per cent with the launch of this new initiative. “There is a large number of SMEs in the country today but the success rate is 25 to 30 per cent. By having these bodies, success rate can be increased to 50 per cent. It is an important step towards boosting the SME sector in the UAE,” Mohammad Ali Yasin, Managing Director of National Bank of Abu Dhabi Securities told Gulf News. The new programme, which will be under the umbrella of the Ministry of Economy, aims to develop blueprint to provide expertise, technical support as well as training to boost SMEs. It will also coordinate with federal and local governments and the private sector to promote products inside the UAE and abroad. This is the first time such a body has been established at the federal level though there are different institutes supporting the SME sector at the local level like Khalifa Fund for Enterprise Development in Abu Dhabi. Yasin said the new initiative is part of a long-term strategy of the UAE government to lower dependence on oil revenues and diversify business to encourage more Emiratis to take up entrepreneurship to start a business rather than wait for a government job. 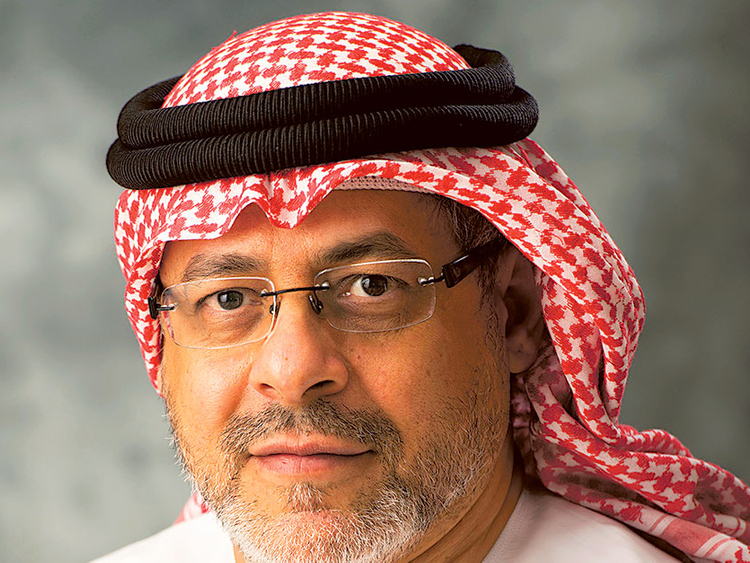 “There are a lot of a UAE graduates and the public sector is not able to absorb them. SMEs is an area where a lot of UAE nationals can do something useful to contribute to the economy than wait for public sector jobs,” he said. Statistics show that the UAE currently has around 300,000 SMEs, which represent 92 per cent of all companies and provide 86 per cent of jobs in the UAE market. These SMEs contribute to 60 per cent of the UAE’s GDP. The National Agenda, established to help the country achieve its UAE Vision 2021, aims to ensure that SMEs’ contribution to non-oil GDP reaches 70 per cent by 2021. Meanwhile, Hussain Jassim Al Nowais, chairman of Khalifa Fund for Enterprise Development welcomed the setting up of the new body and said it will efficiently contribute and support the national economy. “The wise step is a strategic one. It will create a unique transition in the SME sector to strengthen the UAE’s competitiveness regionally and internationally,” he said in a press statement. He said the new programme will have positive effect in developing new ideas and projects to boost the growth of SME sector. According to him, Khalifa Fund over the last eight years was able to bridge the gap in funding SMEs across the country and build expertise to develop the sector. Khalifa Fund for Enterprise Development established in 2007 sanctioned more than Dh1 billion in loans for the development of small and medium enterprises since 2007 across the UAE. The Abu Dhabi government owned organisation supports Emiratis to set up new businesses.